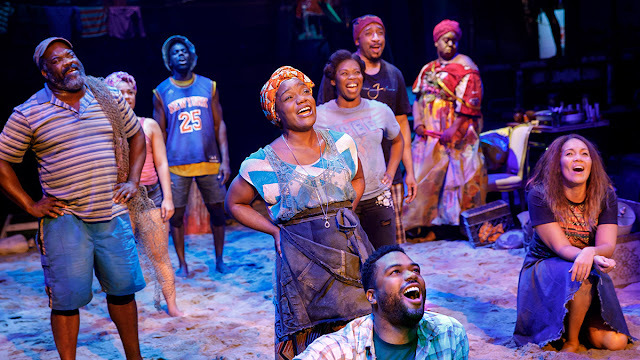 Once on this Island is basically the show version a huge hug; filled with a heartwarming story, spectacular talent and amazing use of theatrical devices it's a truly brilliant piece of theatre. The Circle in the Square theatre provides the perfect, semi-immersive space for this show which follows the story of Ti Moune, a young peasant girl, who with the help of the Gods, sets on a journey to unite with the boy who has captured her heart. The story itself is pretty random and far-fetched: Ti Moune falls head over heels with this boy she has only glimpsed at for a second (very Little Mermaid-esque) and decides she must dedicate herself to saving him. However, the way the story is told is truly beautiful. Michael Arden has directed a feast for the eyes which is magical, moving and heartfelt in equal measure. The simplicity of the show is what makes it so special. The use of debris and fragments of clothes/products immerses us in the world and transports us subtly to a place ravaged by a natural disaster which has to piece itself together the best it can. Clint Ramos has done an outstanding job of bringing pieces together without making anything look tacky of lacklustre. 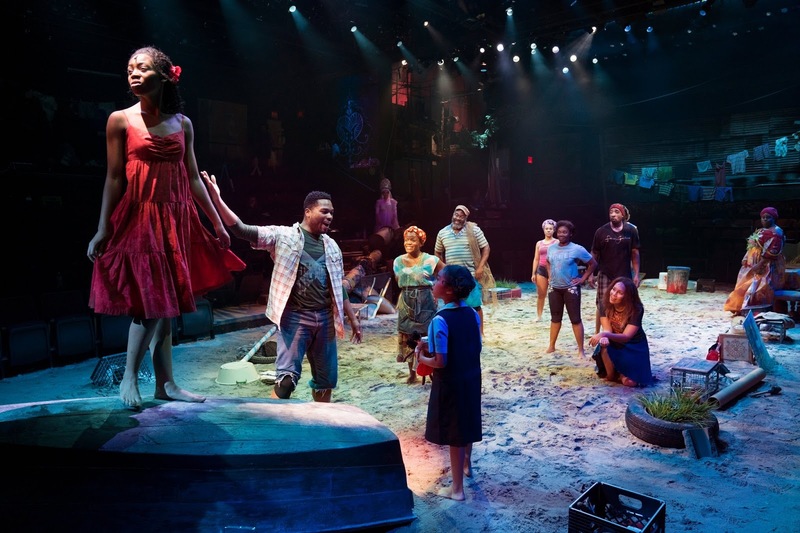 With musical gems such as Mama Will Provide, Waiting For Life and Why We Tell The Story, it's no surprise that this show is a hit. The Caribbean-infused musical theatre songs are catchy and supremely well performed. Despite premiering in 1990, the entire production feels fresh and enticing and is undeniably a show to be loved by any audience members. The cast perform Ahrens and Flaherty's music with life and joy, Alex Newell's Mama Will Provide is a sure stand out, whilst Tamyra Gray brings an Angels in America vibe to the death God, Papa Ge who flicks around the stage with a menacing presence, especially in Forever Yours. Other stand outs include Quentin Earl Darrington who's booming voice fills the intimate space, Kenita R. Miller who draws the eye from the moment the audience enters the theatre and Isaac Powell who is vocally strong as Ti Moune's love interest, Daniel. Whilst this is truly an ensemble piece, with the cast filling the space with sounds and movements whilst every 'solo' piece takes place, the heart is definitely Hailey Kilgore as the young Ti-Moune. Her voice and performance is compelling and heart-wrenching whilst remaining vulnerable and full hearted. There's no doubt that Hailey will be a staple on Broadway stages from years to come as she performs free from constraint and provides one of the most moving and nuanced performances I have ever witnessed.